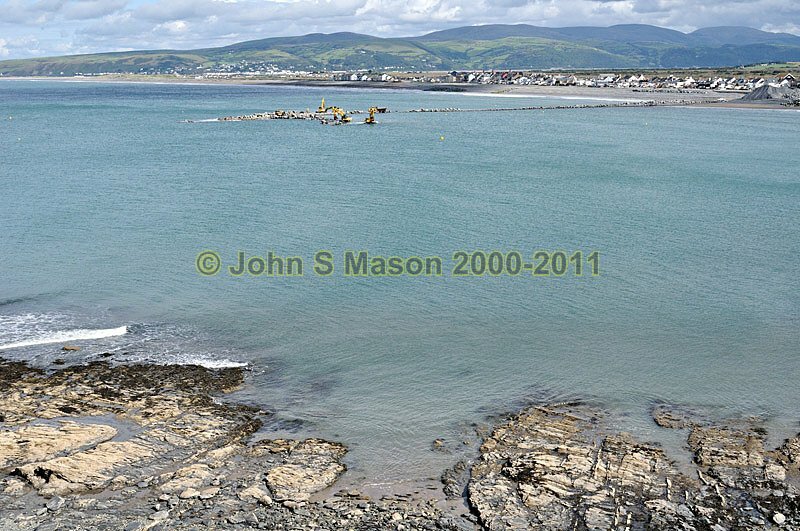 Borth Sea Defences Project: construction of the Artificial Reef, August 2011. The work is done over low tide: at high water the temporary causeway is underwater. Product number 0811115. Email me to enquire about this image: click HERE.